A crown can be won, blood cannot be changed. 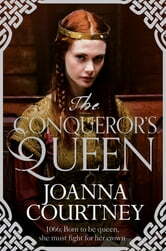 The Conqueror's Queen is the third title in Joanna Courtney's sweeping historical series, The Queens of Conquest. William of Normandy is a rough man, but what more can you expect of an illegitimate son trying to muscle his way into a dukedom? After a violent start to their courtship, Mathilda of Flanders discovers William to be a man of unexpected sensitivity, driven by two goals: to prove himself by becoming a great ruler and to build a warm and secure family. Mathilda has grown up safe in the love of her powerful parents, her rough and tumble brothers and, above all, her younger sister and closest confidante, Judith. Now, though, they must separate. Judith marries the glamorous Earl Torr and departs for life in England and Mathilda heads to Normandy with William. When William's cousin King Edward of England weakens, his eyes are cast across the narrow sea to the glittering throne he promised Mathilda as a young bride. Mathilda supports him keenly in his challenge, longing to live close to her sister once more. But as reward for his support for William, Torr wants more than William is prepared to cede and there will be no alliance. 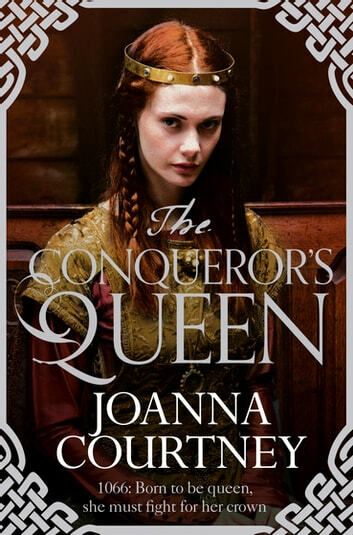 The two sisters find themselves not only on either side of a sea but of a bitter battle, and the events of 1066 bring great personal loss, as well as victory, to the Conqueror's Queen.